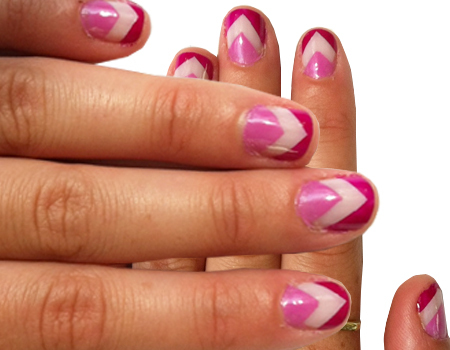 Itchin’ for some funky nails? 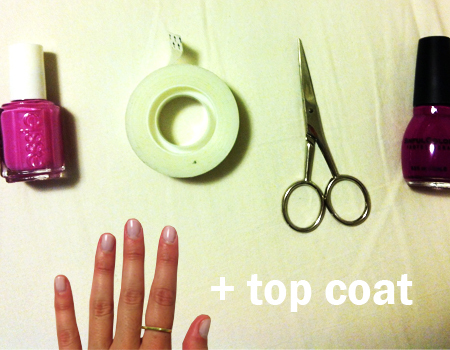 Nail polish – any color(s) will do! (Outlined in yellow, since the tape totally blends in with my base manicure color!) 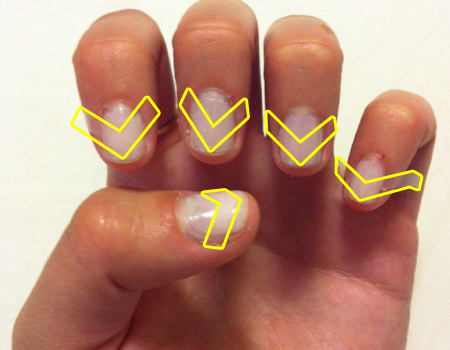 *Please note that the end of the arrows extend past my nail bed so that it can easily be peeled once painted over. Make sure that the tape is stuck on there really well, and there are no air pockets seeping into edges that would allow for paint to get in. Wait for your polish to dry. Really really dry. Once it’s extreeeeemely dry, slowwwwly peel off the tape. Oh my, how rewarding it is. Like pulling off the protective plastic that came on your new alarm clock. Peeeeeeeeeeeeeeeeel it off. Wow. Doesn’t it look good! 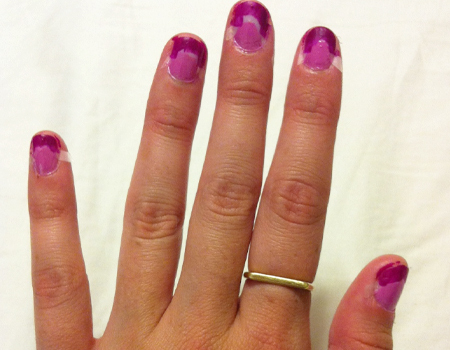 Paint some top coat on there, and VOILA! Che bellissimo! done and done! it looks great in grey and black!